The Gaza Strip, or simply Gaza, is a self-governing Palestinian territory on the eastern coast of the Mediterranean Sea, that borders Egypt on the southwest for 11 kilometers (6.8 mi) and Israel on the east and north along a 51 km (32 mi) border. Gaza and the West Bank are claimed by the State of Palestine. 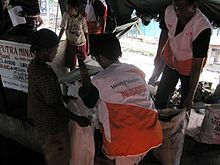 Islamic Relief Worldwide (IRW) is an international humanitarian organisation that provides development programs and humanitarian relief around the globe, regardless of race, political affiliation, gender or belief. 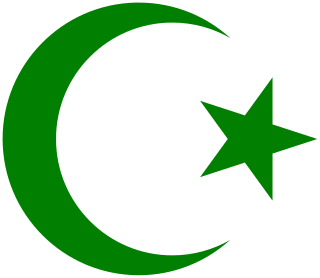 Islamization, Islamicization or Islamification is the process of a society's shift towards Islam, such as found in Sudan, Pakistan, Iran, Malaysia, or Algeria. In contemporary usage, it may refer to the perceived imposition of an Islamist social and political system on a society with an indigenously different social and political background. The Islamic Republic of Iran officially endorses the creation of a Palestinian state, regarding Palestine as a state. Ayatollah Khamenei, the Supreme Leader of Iran, rejects a two-state solution and implies that Palestine is inseparable, while Iran's former President Mahmoud Ahmadinejad called for a free referendum for the entire Palestinian population, including Arab citizens of Israel, to determine the type of government in the future Palestinian state, while reiterating that establishment of a Palestinian state alongside Israel would "never mean an endorsement of the Israeli occupation". Following the 2008–2009 Israel–Gaza conflict, an international conference took place on 2 March 2009 in Sharm El-Sheikh, Egypt, where donor countries and international bodies pledged almost US$4.5 billion for humanitarian and reconstruction aid for the Gaza Strip. These funds bypassed Hamas, with the PA in collaboration with the donor community taking the lead in delivering and distributing the funds. Damage from the Israeli offensive was estimated to be almost $2 billion. However, actual transfers of aid had been beset by difficulties. 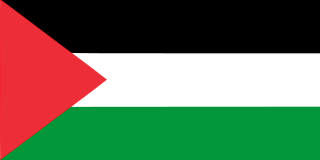 Elections for the second Palestinian Legislative Council (PLC), the legislature of the Palestinian National Authority (PNA), were held on 25 January 2006. 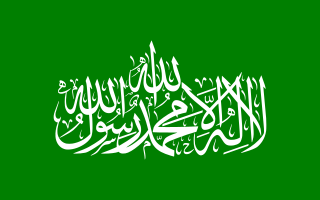 The result was a victory for Hamas, contesting under the list name of Change and Reform, who won with 74 seats of the 132 seats, whilst the ruling Fatah won just 45. In terms of votes received, Hamas took 44.45% of the vote, whilst Fatah received 41.43% and of the Electoral Districts, Hamas party candidates received 41.73% and Fatah party candidates received 36.96%. The second PLC first met on 18 February 2006.